CK Power is the proud distributor for Kohler Power Systems in Missouri, Kansas, southern Illinois and western Kentucky, along with Kohler Residential Power Systems for the state of Oklahoma. The Kohler brand is recognized as a leader in industrial stationary, residential, light commercial, mobile and marine generators. Kohler is widely specified for by electrical engineers for its complete lineup of diesel, natural gas and propane-powered standby generators and paralleling switchgear that range from 5KW to 4000KW. Kohler Residential Power Systems are the homeowner’s choice for dependability and uninterrupted power supply. Kohler natural gas and propane-powered residential generators are recognized by the National Home Builders Association and Consumer Reports as the highest-quality and best-value choices for protecting homes from power interruptions. CK Power has been a Kohler Power Systems distributor for more than 30 years, and our capabilities include engineering, power system application expertise, sales, parts, preventive maintenance service and year-round 24-hour emergency service. CK Power’s staff is ready to serve as your complete source of generator power regardless of application. Critical power applications are part of every industry. Protecting them starts with reliable Kohler generators. 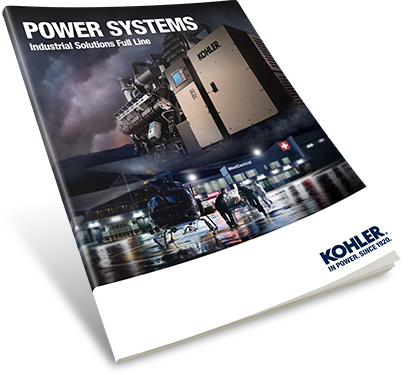 Kohler Power Systems offers an extensive range of products, with generators ranging from 5KW to 4000KW, transfer switches and switch gear. When the power goes out, keep the temperature comfortable, the water running, and the fridge cold. What the weather’s doing doesn’t matter, because a Kohler generator restores power in as little as ten seconds. If medical or business needs mean you simply cannot be without power at home, trust Kohler residential. The power to be at home on the water” is what Kohler marine generators deliver. Whether your power needs are for business or pleasure, no one has time for downtime. Kohler marine generators are engineered to perform in the rugged and demanding conditions, time after time. Kohler Power Systems offers mobile generators from 20 kW up to 500 kW for any application. We deliver heavy-duty power for demanding applications with Tier 2 through Tier 4i engines, including the turbo-charged Kohler Diesel KDI, a Tier 4 final option with lower operating costs and all the muscle you need. Kohler Portable Generators are compact and light enough to fit in most cars and trucks for easy portability. From camping to tailgating to backup power, Kohler generators are powerful and light. They are easy to use, just add oil and fuel and go, no installation required.